And now, with two newly elected Muslim Brotherhood/CAIR-linked congresswomen, one a ‘proud’ Palestinian Muslim herself, support among Democrats for this terrorist group will only increase. 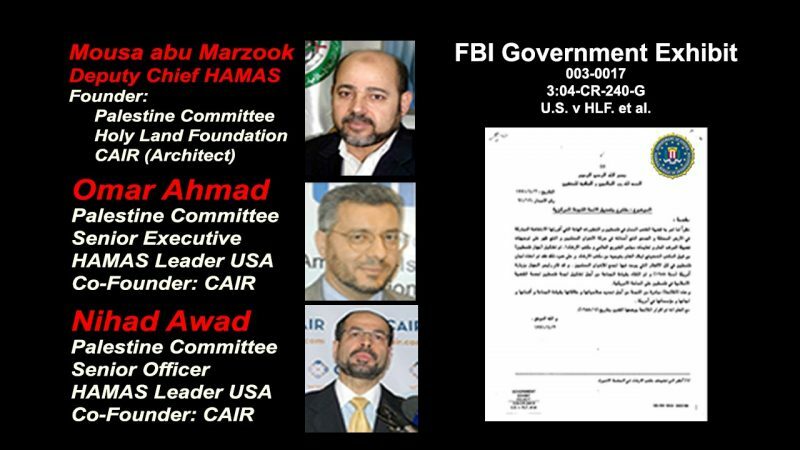 In 2008, the Federal Bureau of Investigation warned America that the self-proclaimed “Muslim civil-rights” group, CAIR, was really part of the Palestinian terrorist organization Hamas. 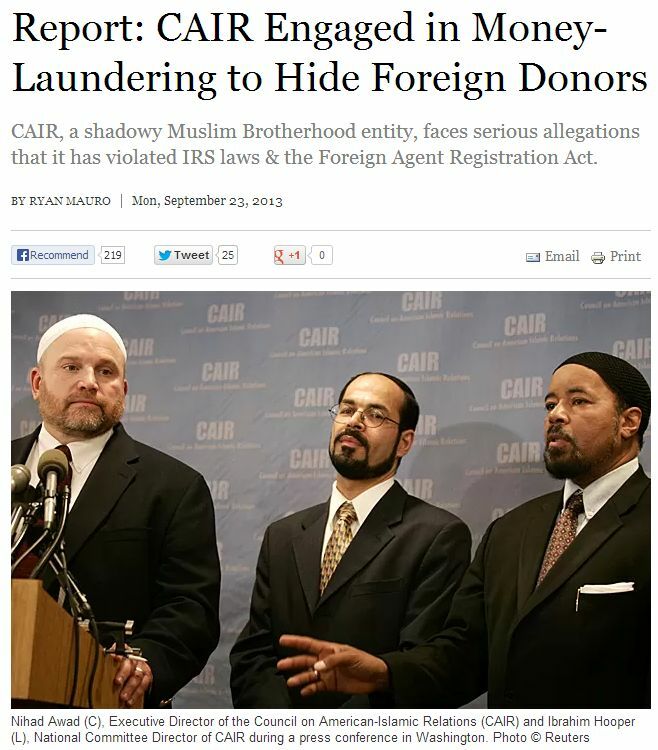 It will come as no surprise to BNI readers that CAIR, the Council on American Islamic Relations, actually functions as the “Special Operations Division” (SOD) of the political department of the HAMAS. Part of the CAIR “SOD” functions is to attack with media propaganda any person or organization who analyzes or criticizes CAIR. IPT According to U.S. Sen. Charles Schumer, the Council on American-Islamic Relations (CAIR) is known “to have ties to terrorism,” and cutting off contact with the Islamist group “should be government-wide policy.” In 2009, Schumer joined with Republican Senate colleagues Jon Kyl of Arizona and Tom Coburn of Oklahoma in writing to the FBI to praise reports that the Bureau had cut off all non-criminal investigative contact with CAIR due to its roots in a Hamas-support network. It was because of those internal records, however, that prosecutors named CAIR an unindicted co-conspirator in the Holy Land prosecution. 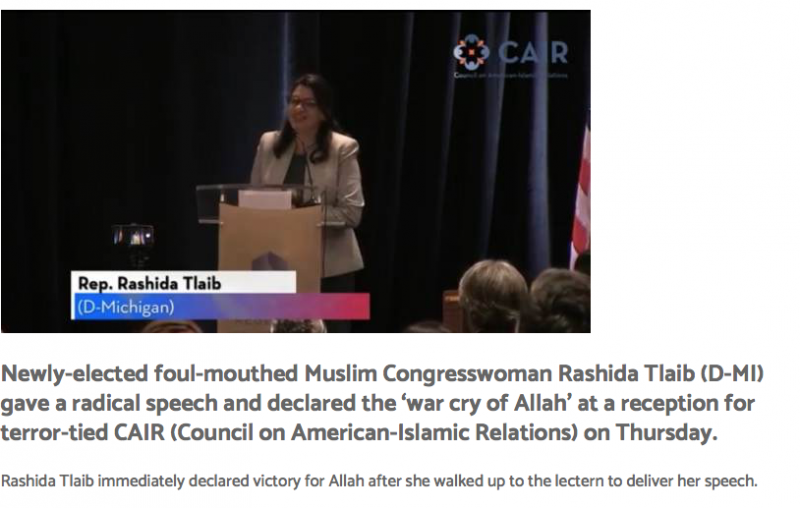 CAIR appealed to have that status stricken from the record. It lost. “The government has produced ample evidence to establish the associations of CAIR … the Islamic Association for Palestine, and with Hamas,” U.S. District Court Judge Jorge Solis said in the July 1, 2009, ruling. 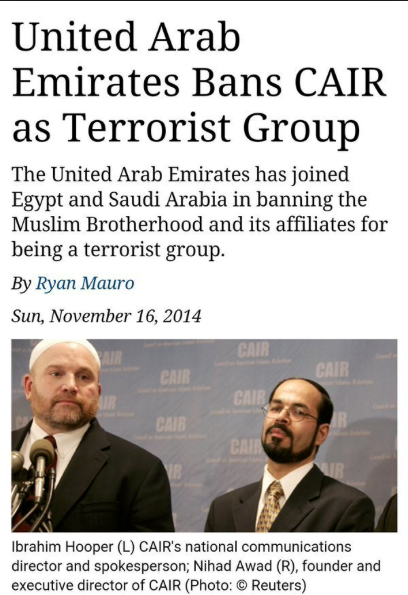 CAIR has established roots in the Islamic Association for Palestine (IAP), a group found to be a front for Hamas. 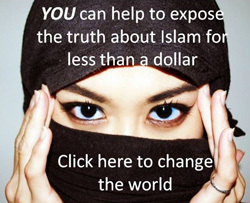 In June 2007 federal prosecutors named CAIR an unindicted co-conspirator in the Hamas-support trial against the Holy Land Foundation for Relief and Development (HLF). The “List of Unindicted Co-conspirator and/or Joint Venturers” designates CAIR as a co-conspirator because of its associations with the US Muslim Brotherhood’s Palestine Committee. Nihad Awad, a co-founder and the only executive director CAIR has ever had. CAIR co-founder Omar Ahmad “was a leader within the Palestinian Committee, FBI agent Lara Burns testified during the HLF trial. Ahmad previously served as president of the Islamic Association for Palestine (IAP), Burns testified. The IAP also was a Palestine Committee branch which was devoted to issuing Hamas propaganda, records show. People at that 1993 Philadelphia meeting attended by Nihad Awad and led by Ahmad discussed Hamas often. Among their principal concerns was how to advocate for Hamas positions without being pegged as terror supporters. 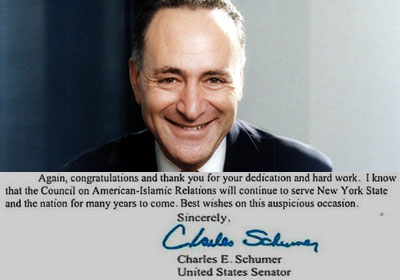 Schumer is simply the latest in a parade of politicians to bless CAIR with his endorsement and the imprimatur of legitimacy. Such accolades are staples at banquets which raise hundreds of thousands of dollars for CAIR chapters throughout the country. The politicians’ endorsements help CAIR establish credibility as an influential organization. That, in turn, helps persuade people to open their checkbooks. IPT In August of 2008, a CAIR Houston Banquet featured messages of support from not one, but three members of Congress. 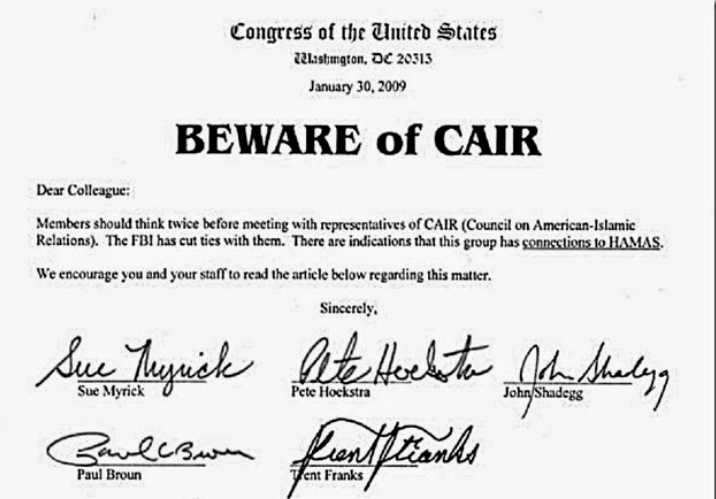 In fact, the Congressmen in question were the exact same three who offered support for CAIR’s causes at CAIR Houston’s September 2007 Conference. 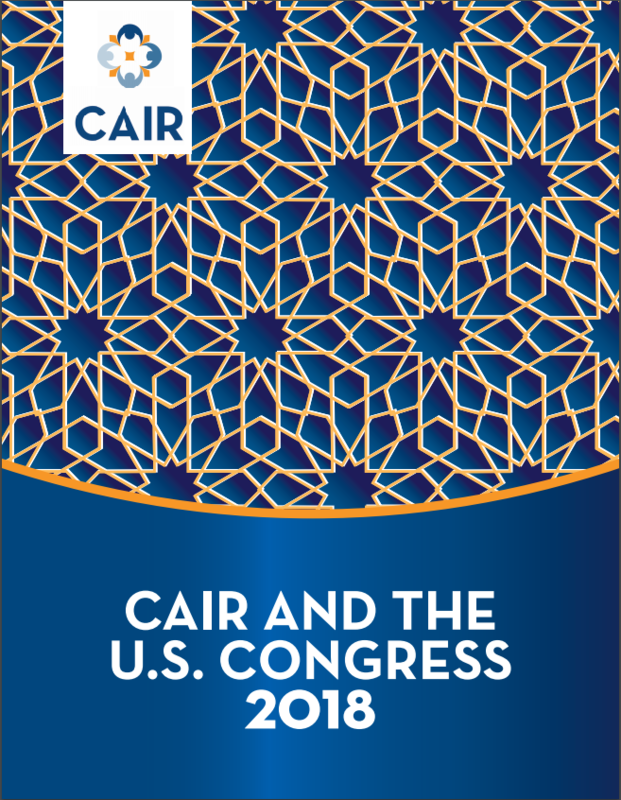 The 2008 Houston Conference took this support to the next level, as two “Certificates of Congressional Recognition and/or Appreciation” were presented to CAIR. The Oct. 19 event drew letters of support and congratulations from 101 elected officials and candidates, nearly all Democrats. That group includes 17 U.S. senators, including likely presidential candidates Cory Booker of New Jersey and California’s Kamala Harris. 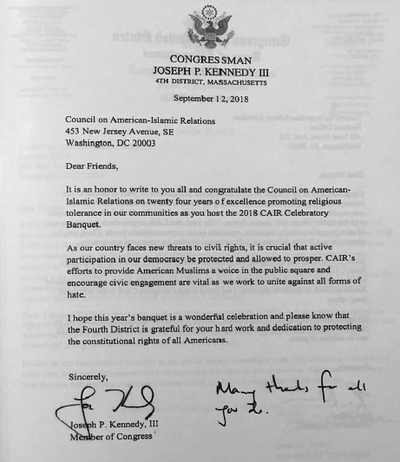 Other prominent Democratic senators signing salutation letters to CAIR include Minnesota’s Amy Klobuchar, Florida’s Bill Nelson, 2016 vice-presidential nominee Tim Kaine from Virginia and New Jersey’s Robert Menendez. 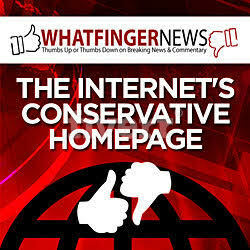 CAIR’s web site features a page devoted to politicians’ accolades. It features endorsements from 58 members of the House and Senate, 56 of them Democrats. That includes senators Christopher Murphy of Connecticut, Michigan’s Carl Levin, Maryland’s Barbara Mikulski, Amy Klobuchar and Al Franken of Minnesota and Virginia’s Mark Warner. Likewise, in the House, approval has come from 17 members of the California delegation, Virginia’s James P. Moran, Bill Pascrell of New Jersey and Chris Van Hollen, the Democratic nominee for the U.S. Senate this fall. The Investigative Project on Terrorism obtained a copy of the booklet containing all the letters, which can be seen here. Many of them use similar language, likely supplied by CAIR. Most note the event and praise the organization for its civil-rights and anti-bigotry work. Interestingly enough, she received no backlash about “dual loyalty” for a blatant act of loyalty to a different entity besides the USA. Here she is at a recent Muslim Brotherhood event. She gloats at how people voted for her for standing up for values, progressive values. All of these things are values that the Muslim Brotherhood vehemently opposes. She then calls CAIR a civil rights organization. That’s another big lie. 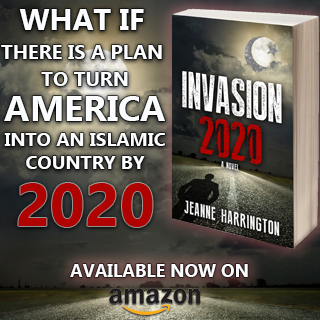 As soon as the Muslim Brotherhood gains enough power, it will impose Sharia law and take away rights from naive freedom-loving Americans. That’s the democrats done with now that Tlaib and Omar have infiltrated them successfully. Now the timetable of brainwashing the rest of congress can be stepped up. While we wait for designated terrorist group CAIR to be taken down, they go on their way, telling Muslums not to cooperate with American intelligence, jumping on baseless accusations that usually are proven false, committing financial jihad on whoever or whatever they can, generally promoting anti Americanism & Muslum supremacy. Have you ever asked yourself: What really died at Auschwitz? The following is a copy of an article written by Spanish writer Sebastian Vilar Rodriguez and published in a Spanish newspaper. It doesn’t take much imagination to extrapolate the message to the rest of Europe – and possibly to the rest of the world. I walked down the streets in Barcelona and suddenly discovered a terrible truth: Europe died in Auschwitz …..
We killed six million Jews and replaced them with 20 million Muslims. In Auschwitz we burned a group of people who represented culture, thought, creativity, talent. We destroyed the chosen people, truly chosen, because they produced great and wonderful people, who made great contributions to the world, and thus changed the world. The contribution of today’s Jewish people is felt in all areas of life: science, art, international trade, and above all, as the conscience of the world. Look at any donors’ board at any symphony, art museum, theater, art gallery, science center, etc. You will see many Jewish surnames. These are the people who were burned. Of the 6,000,000 who died, how many would have grown up to be gifted musicians, doctors, artists, philanthropists? And under the pretense of tolerance, and because we wanted to prove to ourselves that we were cured of the diseases of racism and bigotry, Europe opened our gates to 20 million Muslims, who brought us stupidity and ignorance, religious extremism and lack of tolerance, crime and poverty, due to an unwillingness to work and support their families with pride. This e-mail is intended to reach 400 million people. Be a link in the memorial chain, and help distribute this around the world. Copied and forwarded on. One more link in the memorial chain was added this day. Both gals, Tlaib and Omar, popped up out of nowhere. Both have handlers who are not our friends. The Ihlan Omar gal is the most dangerous because she’s young and she got her first choice for a committee assignment. What i don’t get Bonni is why Trump hasnt shut them down? So much evidence, most of.it probably unknown by average Joe. Banned in UAE and other muslim Countries, I seriously believed with the appointment of Trump, groups like.these would feel the wrath after having been allowed.to flourish under Obama. With known terror.links.past and present, I’d have thought it wouldn’t be a hard.sell to kick em out of America. Des, I wish I had the answer. Sen. Ted Cruz has not even gotten any support for his bill which would declare the Muslim Brotherhood a terrorist organization. Palestine will be freed? Freed to do what? Live under the brutal tyranny of Hamas? It is a known fact that the regime under Hamas is cruel, brutal, and dictatorial. In fact, it is so bad, that many Arabs would rather live under Israel even though many of them hate Israel and Jews. Aren’t there enough Palestinian Arabs living under the brutal regime of Hamas? These Palestinian Arabs have a very strange sense of freedom. 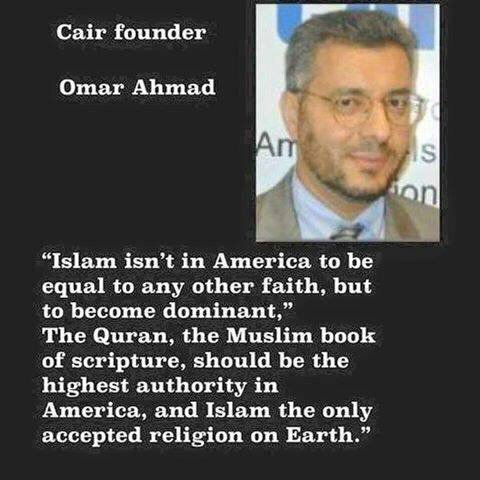 Obviously CAIR does too, if they think that living under Al Shariah is freedom.